I debated whether to write this post or not as I know that, compared to some people, my experiences are not actually that awful. However, in the end I did want to share it, as I felt, and continue to feel let down by the care I received throughout my labour with Benjamin, and it did actually have a lasting impact on my mental health. For this reason, I feel it is worth sharing, if only to let other people who have experienced similar know they are not alone, and it is not ok to be made to feel that way by those who are in charge of your care at such a vulnerable time. I found out I was pregnant with Benjamin quite unexpectedly. We had not been trying for a baby, and I was not in a good place at the time. Although my relationship with Ed was totally stable, everything else in my life was a bit up in the air. We were in the process of moving me and the kids into Ed’s house in the next town and I had just handed in my notice at a very stressful job, without another position lined up. We had also just booked our wedding in Santorini for the following September, so things were a little hectic when we discovered the news! For the first six months of my pregnancy I was on antidepressants, which I had been prescribed the previous year, after my first marriage broke down and I lost my job all within a few months. I had wanted a home birth, and was relieved to discover that my depression and medication wouldn’t necessarily put a stop to this, as long as I was monitored at the hospital by a consultant alongside my home birth team midwife. As I say, by the six month mark, I ended up coming off the tablets on my own and the pregnancy was relatively straight forward, other than a small scare when it seemed I might have a punctured lung (it wasn’t this, but as a precaution I had to have daily injections, which I did not cope well with). Towards the end of my pregnancy, I was signed off of consultant led care and given the green light for my much wanted home birth. I was really happy, and started preparing by hiring a birth pool and putting the finishing touches to my birth plan. Sadly, it was not to be. A couple of days before my due date, I noticed Benjamin’s movements had slowed right down. I rang up and was asked to head in to the maternity hospital to be hooked up to the monitor to check everything was ok. Although the member of staff was able to find Benjamin’s heartbeat right away, and the monitor confirmed that he was moving away fine in there, as I had previously been in for the same thing only a couple of weeks before, they decided it was best to book me in for a scan the next day to make sure everything was ok.
During this scan, it turned out that Benjamin seemingly hadn’t grown much at all since my last growth scan through the consultant led care at 36 weeks. They decided to be on the safe side, and prevent me from going overdue, they would induce me the next day, on my due date. It was all very hectic, as I hadn’t prepared for a hospital visit, and I headed off to the shops for a post birth outfit and snacks to take in with us as the induction process can be a lengthy one. Looking back on that time now, I can see that I went into shock. At the time I didn’t even register that I wouldn’t have a home birth after all, and the excitement of knowing I would be meeting my baby in the next day or two took over. 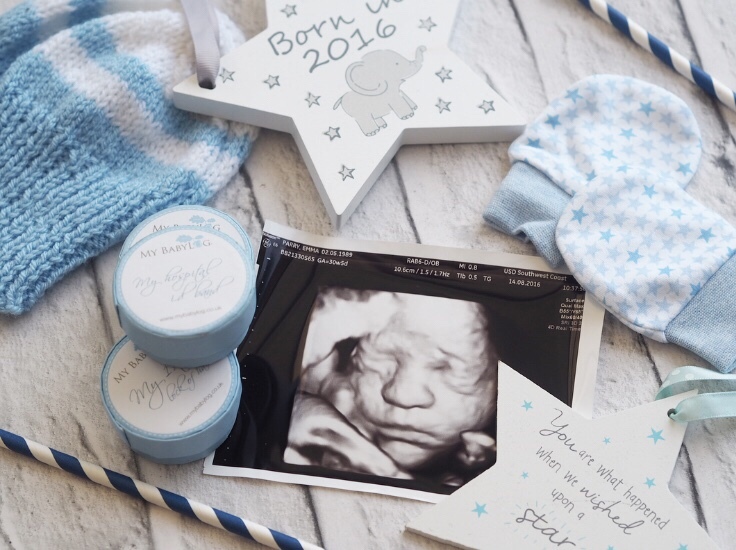 It wasn’t until I was on the ward, having had the pessary, that I realised the stark difference between my planned home birth and an induced labour. There were lots of women on the ward having the same procedure done for various reasons. One woman opposite me was told she would still be able to have her planned water birth as she had started dilating without the need for the pessary to be inserted and I will admit, I felt extremely jealous at this point. Although the health of my baby was obviously paramount, I had also gone through one induced labour with Cameron, and it was not an experience I was keen to repeat. The member of staff I had assigned to me was very matter of fact in her manner. She inserted the pessary, explained briefly that if it didn’t work they would repeat the process again, encouraged me to get up and move around to encourage things, and then left me to it. I had Ed and my mum with me and we did head over to the shop across the road, which seemed to work as, on our return, the little tightenings I had experienced started to ramp up a little. I fired up my laptop and we watched episodes of Friends to distract me, trying to keep as close to my original birth plan as possible, despite the different setting. After a while, the contractions were closer together, and the pain was intense. I was informed that I wasn’t able to be moved onto the labour ward as they didn’t have the beds available, and so the strongest painkiller they could give me was cocodamol. I took it but it didn’t even take the edge off. I tried to explain that my labours progress very quickly and both times before I have gone from 5cm to fully dilated within a couple of minutes, something my home birth midwife had taken very seriously, but they wouldn’t listen. In the end, Ed had to call for help as my pain had ramped up so fast I was struggling to talk properly. Fortunately a bed had become available, and I was wheeled over, barely being able to sit still in the wheelchair as I was by now doubled over in agony. A midwife was waiting for me and instructed me to lie down on the bed. I asked for gas and air, but I don’t think it was working properly as it didn’t numb the pain for me at all as it had in my previous labours, and I was still in intense agony with every contraction, which were now seemingly constant. Through the pain I vaguely remember the midwife explaining that Benjamin’s heart rate was dipping quite low with every contraction, and at one point I told my mum to leave the room as the look of fear on her face as she watched the monitor was scaring me. I tried again to explain to the midwife that I would most likely be ready to push soon, but she batted what I was saying away telling me I was only 5cm when I was transferred across to the delivery suite. By now I was almost delirious with the pain and Benjamin’s heart rate was still dipping. I asked to get off the bed and move position, as it felt like the pain was ripping me in two, but I was told I would need to lie still and flat so that she could hook a clip onto Benjamin’s head to get a better idea of what was going on with him as I contracted. It was the most scary time of any of my three labours, being in so much pain and not being able to move. I may as well have been strapped down to the bed, as the midwife point blank refused to let me get up and move around. I was writhing around and the midwife said I could stand for just a minute whilst she prepared the clip. The relief I felt as I stood was incredible. All I wanted was to stay standing, so that gravity could help me to get my baby out, but my midwife was having none of it and forced me to get back on the bed and lie down ready for her to attach the clip. I told her I needed to push or get up as I could feel such an intense pressure. Rolling her eyes at me, she explained she would check my dilation as she attached the clip, and when she did she saw I was in fact 10cm dilated, and asked Ed to pull the cord to call for help as I would be giving birth sooner than she expected. With just three pushes, Benjamin was born and placed onto my chest. I was in shock and just so pleased that the pain was over. I don’t think I even really registered Benjamin was there right away. It was all such a blur. Afterwards, I was told that I would need to stay in for 72 hours so that Benjamin could be monitored due to the medication I had taken during my pregnancy. I was shocked and upset by the way they spoke to me. Not only was it handled insensitively, I had also been discharged from my consultant and given the go ahead for a home birth prior to the induction being required. They told me that had I of had my baby at home, I would still have been required to come into the hospital straight after so that Benjamin could be monitored for drug withdrawal. My home birth midwife confirmed afterwards that this was most definitely not the case. I was exhausted and tearful, and just wanted to get home to be with my other two children. The birth, although traumatic in its own way, was straightforward, and I had envisaged being able to leave within a couple of hours, not facing a three day stay. I felt claustrophobic and begged Ed to help get me out of there. In the end I managed to be self discharged. Before they let me go I was bombarded with horror stories, with statistics of babies suffering from drug withdrawal symptoms, and made to feel extremely guilty for having taken the antidepressants in the first place, and for making the decision to leave hospital before they suggested. I was given a huge range of scary signs to watch out for. I was in floods of tears by the time they left me. I wasn’t able to go right away as Benjamin’s temperature had dropped a little since his birth, and they needed it to go up before he was able to leave, but after a few hours he managed it, and I was finally able to leave the room I had been confined to for several hours. I felt completely and utterly numb by this point. I wasn’t excited to be heading home with our new baby. I wasn’t happy as I knew I should be. I just felt completely hollow, and this continued for a long time. I struggled initially to bond with Benjamin, with my anxiety which had started during pregnancy manifesting itself into an intense fear that something wasn’t quite right with Benjamin. I became obsessed with a couple of symptoms I had noticed, that Google had led me to believe were a serious incurable health condition. My doctor, seeing how upset I was, referred Benjamin, and it wasn’t until the specialist doctor confirmed he didn’t show any signs of the condition, that I was able to finally relax a little and start to enjoy Benjamin. I look back at that time now and feel really sad that those first few weeks and months were tainted by the shadow of the birth, and how it left me feeling so unsure about everything. I had deep, deep regrets about the way the birth happened, and that I didn’t get my home birth. I was convinced I needed to have another baby, so that I could get over how Benjamin’s birth made me feel. Fortunately I have since had birth trauma therapy, and this actually really helped to conquer these feelings. I am now able to look back on the birth with less bitterness and regret. The feelings are still there to some extent, but the desire to have another baby to get my ‘perfect birth’ is gone. Although I am aware that labour often doesn’t go to plan, and it may have been unavoidable for me to have had an induced labour, I strongly believe that the way I was treated by staff at the hospital during and after the birth had a negative impact on how I felt during labour, and an affect to my mental health since. And that is not ok. I am sure this wasn’t easy to write so thank you for sharing. I strongly feel that a lot of health professionals do treat delivery as a walk in the park and don’t try to personalise their approach in anyway. It might be a walk in the park for THEM because they see this everyday but for the woman enduring labour, it’s a unique moment filled with a rollercoaster of emotions. She needs to be heard, she needs to be supported and she needs to be treated like an individual. I’ve heard a lot of new mums experience PTSD about their delivery due to factors where health professionals just haven’t given them any autonomy in the delivery room. I hope your therapy helped you achieve some peace.